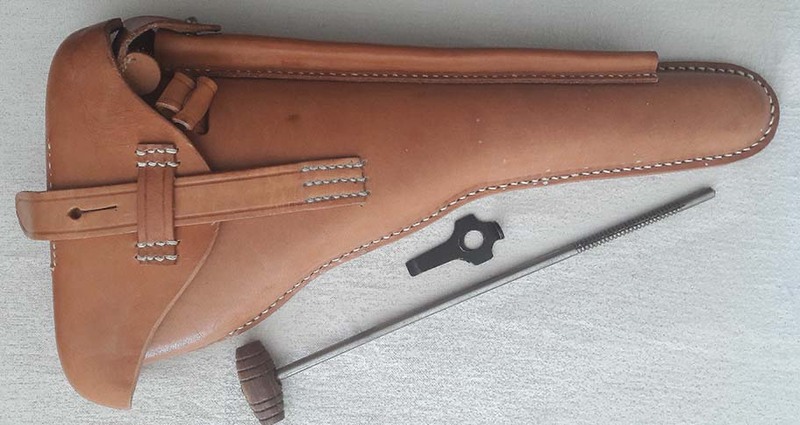 age or can be dyed using an appropriate Black or Brown leather dye). 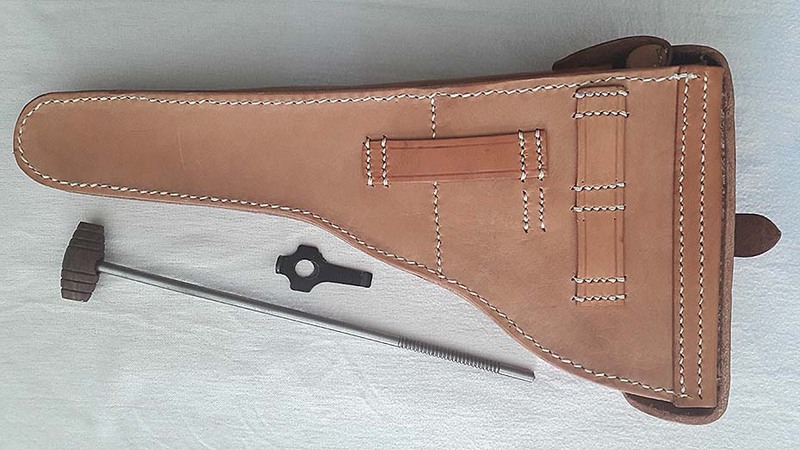 Holster comprises of inner stripping tool compartment and Cleaning rod compartment. 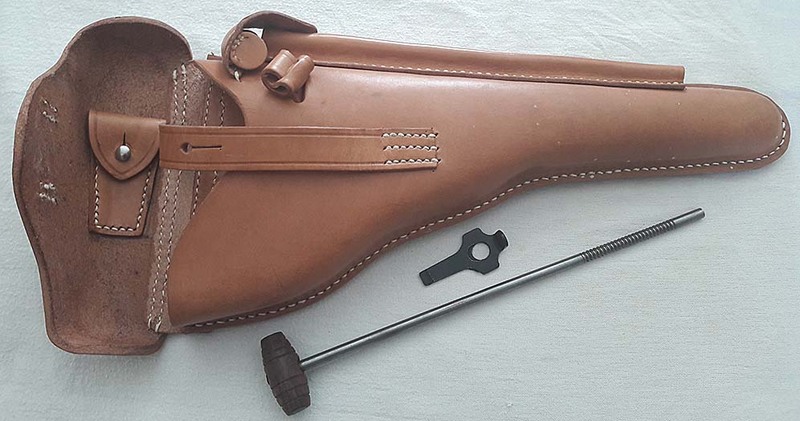 Holster can be worn from the hip or mounted to a stock-board with the correct fittings (available from us but not included).